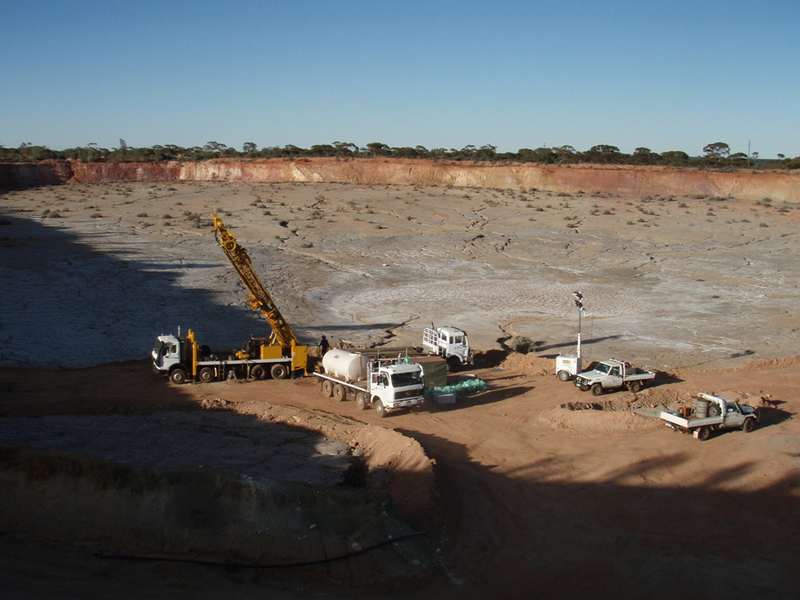 South Australian metals exploration company Havilah Resources has achieved a major milestone with the commencement of systematic mining of gold ore at the Portia gold mine located northeast of Broken Hill. The company said the beginning of mining at Portia was achieved three and a half months earlier than originally scheduled as a result of the recent redesign of the mining plan. “By the end of this week it is expected that several thousand tonnes of high grade ore will have been mined and stockpiled on the ore pad adjacent to the processing plant,” the company said in a statement to the ASX. According to Havilah, the company’s mining contracting partner Consolidated Mining & Civil Pty Ltd has removed more than 70 metres of overburden since the commencement of mining operations on 30 March 2015, and mined to within 5 metres of the high-grade ore horizon during last week. 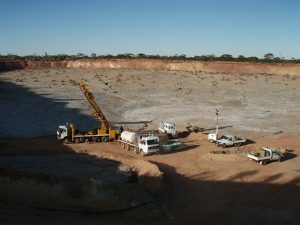 Havilah said it has drilled 13 holes from this temporary pit floor in order to accurately determine the top and bottom of the high grade ore surface. The company reported that this information was then entered into the GPS controller on the 120 tonne excavator that allows the operator to mine the high grade ore horizon with some precision, resulting in “minimal dilution” from lower grade material above and below. Havilah’s Managing Director Dr Chris Giles said given the potential value of the high grade ore, the company’s geologists are continually monitoring the mining to ensure it remains on track and that each truck load of ore material is delivered to the correct location on the stockpile. “It is pleasing to note that in spite of the numerous challenges presented by the soft clay overburden and ongoing dewatering requirements, mining of the Portia open pit has largely gone according to plan and the ore zone is as expected, which augers well for the reminder of the mining operation,” Mr Giles added.